On the picture: The balcony above the main entrance to the prayer hall. It is part of the second floor above the entire length of the porch, on the north side of the mosque. 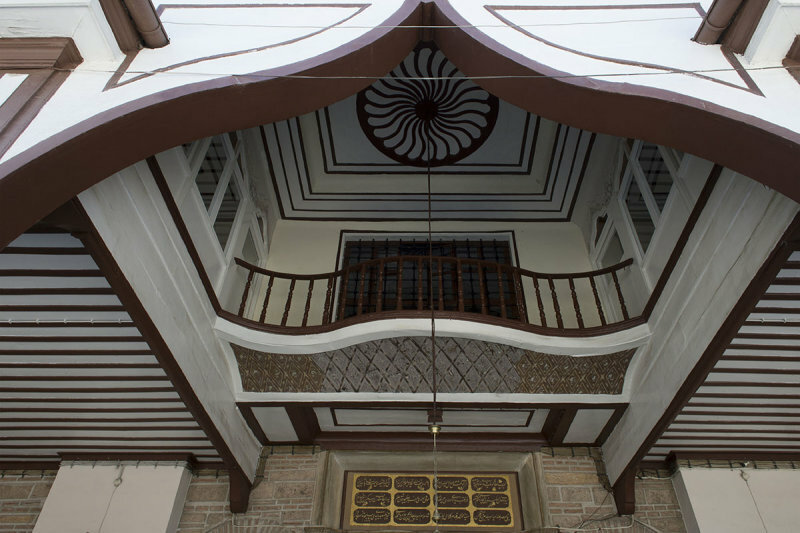 The wooden porch and the galleries running around the courtyard of the mosque were built in a late-Ottoman version of the 19th century Neo-Oriental style. The ‘kibabe’ (building inscription) under the balcony is 50 x 150 cm large and refers to the rebuilding of the mosque in 1804 under Selim III. It is a poem, three verses of four lines long, written by ‘şair Íhya’ (= Íhya the poet).